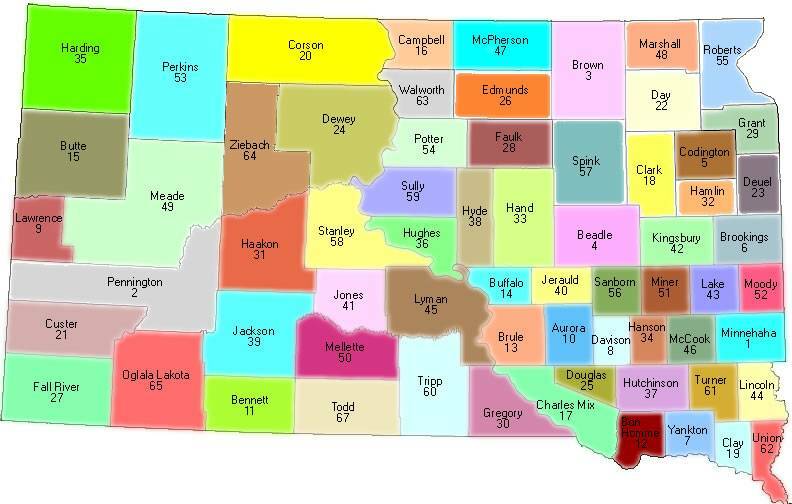 South Dakota counties and county seats. * Information may not be accurate and is provide without any guarantee. It is meant only as a general reference.